In September 2016, the Albatros DVa and BE2 managed by the WW1 Aviation Heritage Trust positioned at Albert in N France to conduct a flypast and poppy drop for the NZ commemoration of the Battle of the Somme. With a laundry bag full with 10,000 poppies secured to the harness in the front cockpit of the BE2, the challenges of making the drop point, Caterpillar Valley Cemetery, on time in an open cockpit with no instruments at all became instantly apparent. We found our way to the pre-agreed holding point with the faster Albatros catching us up there. 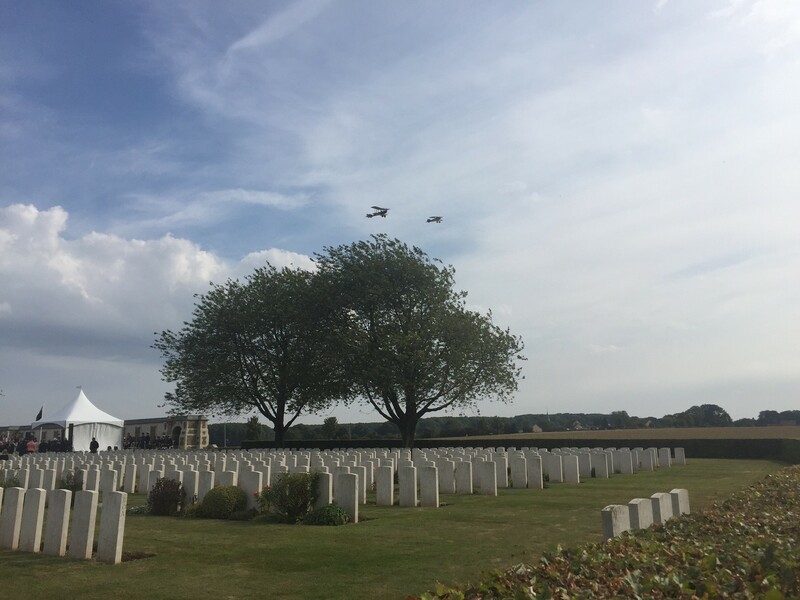 Then we flew onto to drop the poppies after HRH Prince Charles had given his address – a wonderfully evocative sight. Then off to Abbeville for the first leg of the return journey back to England which was uneventful. 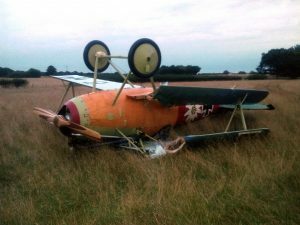 The second leg was anything but as the Albatros ended up side down in field just short of Headcorn as the second photo shows. The history of the Great War is that most unplanned landings ended up in a similar a position. 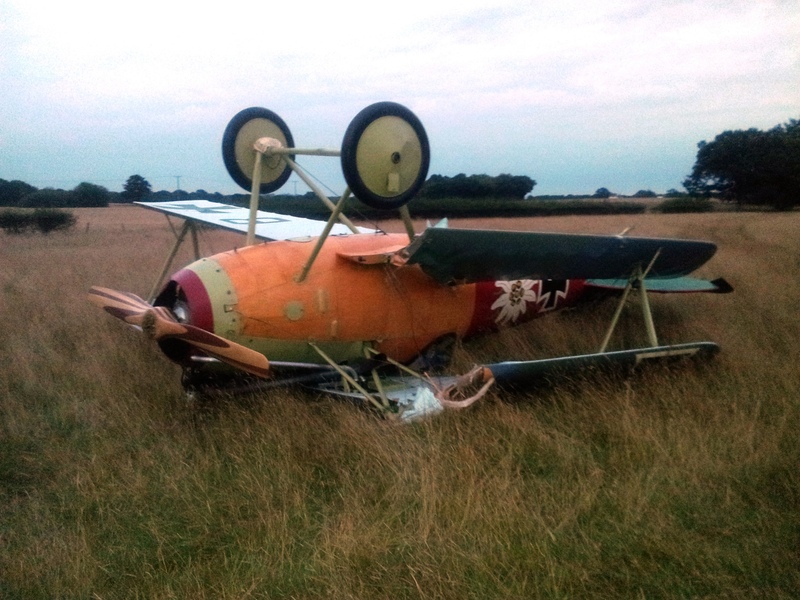 Fortunately, the pilot escaped unharmed. The aircraft is now back at TVAL in Wellington undergoing repairs. We need your to help to bring the aircraft back to UK next year. This fund-raising campaign will feature a series of posts that will update you on progress with the repairs taking place in NZ of both the Albatros and an SE5a promised to WW1 AHT for next year and relate some amazing tales about the aircraft and the pilots that flew them.